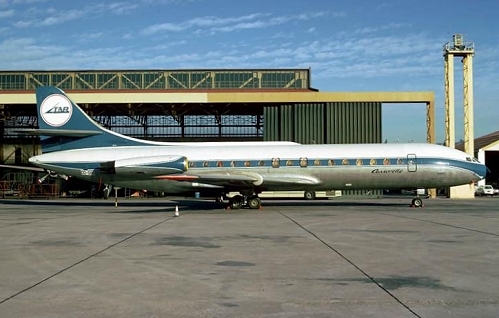 Description: Sabena fifth Caravelle was delivered on March 24 1961. It remained operational for the carrier till April 1976 and is here captured in the first (of two) liveries. Description: rather poor quality shot of a very interesting item, namely a test livery adopted in November 1972 which at the end was not chosen as the tail colors were inversed. 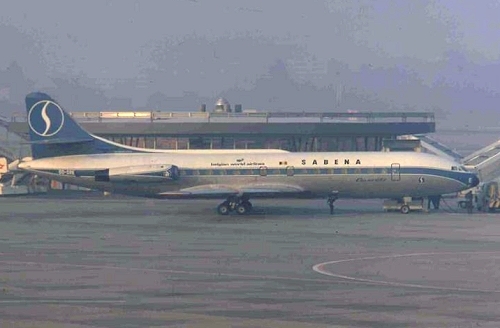 Description: couple of months later, second and final Sabena livery here captured with flaps down, just after landing on runway 02 at its home base. 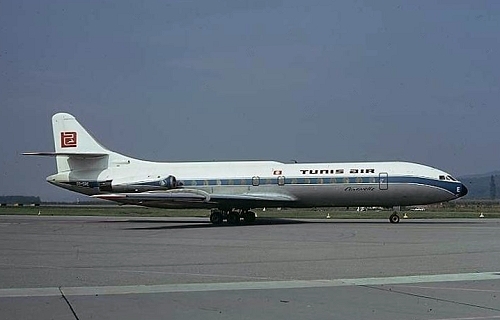 Description: leased to Tunis Air in the Summer of 1974, in basic Sabena colors with "Tunis Air" titles and tail motive.. Description: French operator TAR wanted it to use for inclusive-tour charters. 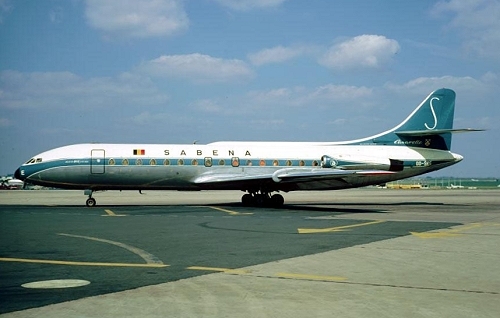 It was painted in November 1974 with tail motive in a basic Sabena color scheme, here such captured with the Belgian registration hidden behind the engine. 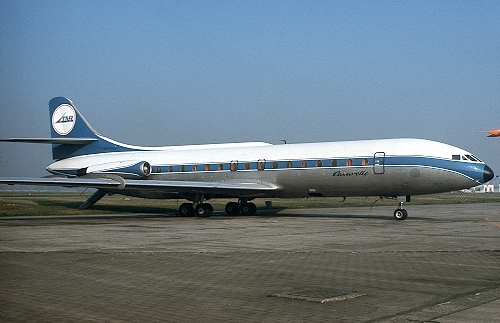 Description: it was ferried from Brussels to Nice in November 1974, but remained stored over there as permission for charter operations was refused. 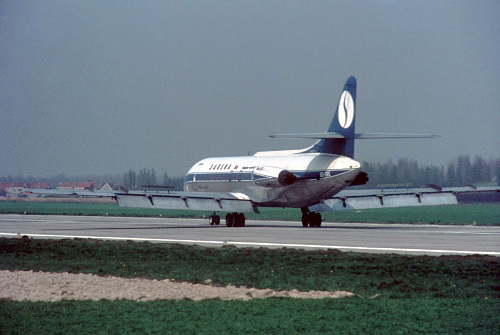 Description: in January 1975 it returned to Brussels where it was most of the time stored. It received again the Sabena titles but still wearing basic tail colors of TAR. It was leased in these markings to Sobelair during August-September of 1975. 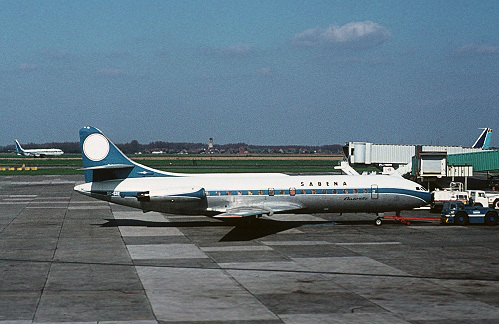 Afterwards it was again laid up at Brussels until being leased to Catair from April 1976 onwards, on June 4 of the same year being sold to them as "F-BYCD".